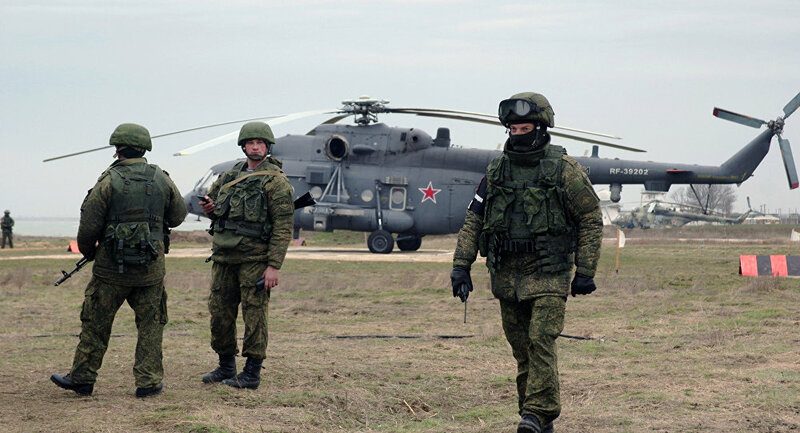 Russian Southern Military District (SMD) motorized infantry troops are carrying out drills involving the repelling of simulated enemy airstrikes on the Black Sea coast of Abkhazia, the SMD press service said Tuesday. The exercises are taking place on two firing ranges in the partially recognized republic, with over 700 service personnel and some 60 military equipment units taking part. 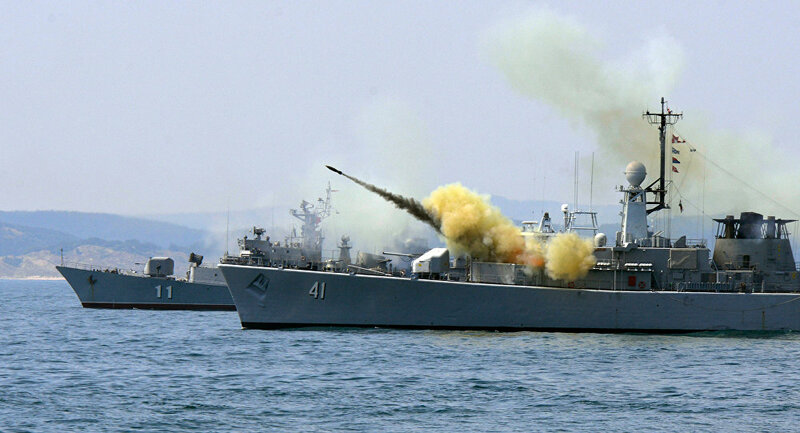 “The troops are improving tactical company skills in defense, offense and during movements, including performing terrain and route engineer reconnaissance… The troops are also practicing repelling airstrikes and attacks by simulated enemy sabotage and reconnaissance groups on the Black Sea coast,” the press service said. The drills are focusing on firing position and field command post camouflage, as well as on tactical, reconnaissance, and fire training, according to the statement. Three NATO frigates and a US guided missile destroyer have entered the Black Sea in what the US naval command described as part of an ongoing effort to enhance regional stability and a sign of support for NATO member-states, Russian media reported on Friday. The American guided missile destroyer USS Ross is accompanied by three missile frigates, Francis Almejida (Portugal), Blas de Lezo (Spain) and Winnipeg (Canada).”USS Ross (DDG 71) will enter the Black Sea, Dec. 3, 2015, to promote peace and stability in the region,” the US Navy Sixth Fleet’s press release said. The USS Ross is an Arleigh Burke-class guided missile cruiser, armed with the Aegis cruise missile system, which is capable of carrying up to 56 nuclear-armed Tomahawk missiles. The ship class is also capable of carrying an SH-60 Seahawk multi-mission helicopter, and has a crew of 337 seamen. On October 20, the USS Ross intercepted a ballistic missile as part of exercises testing elements of the US missile shield in Europe. Turkish media said that the NATO naval group had arrived at a time when tensions between Turkey and Russia were at their highest. MOSCOW, November 27. /TASS/. Russia has suspended its participation in the Black Sea Force (BLACKSEAFOR) multilateral naval drills in response to Turkey’s downing of a Russian Su-24M bomber in Syria, Chairman of the State Duma Committee for Defense, Admiral Vladimir Komoyedov told TASS on Friday. Russia’s military attache for defense and attache of the ground forces may also be recalled from Turkey, the Russian lawmaker said. “These are our military diplomats who are still staying in Ankara to finally get clear explanations from the Turkish General Staff for the causes and the circumstances of the downing of the Russian bomber by the Turkish Air Force in the sky over Syria,” the Russian lawmaker said. ‘If they don’t get these explanations and the Russian Defense Ministry considers their further stay in Turkey as inexpedient, then a decision will be made to recall these Russian military representatives from Turkey as well,” Komoyedov said. An F-16 fighter jet from the Turkish Air Force shot down a Russian Su-24M bomber on Tuesday. Ankara claims the Su-24M bomber violated the Turkish air space in the area of the border with Syria. The crew of the Su-24M bomber managed to eject but one of the pilots was killed by gunfire from the ground. The second pilot was rescued and taken to the Russian air base. The rescue operation involved two Mi-8 helicopters. One of the helicopters came under fire and made a crash landing and a contract soldier was killed. The helicopter’s other personnel were evacuated to a safe place. The Mi-8 helicopter damaged by gunfire was subsequently destroyed by mortar fire from the territory controlled by militants. Russia’s Defense Ministry has announced about terminating all military contacts with Turkey. 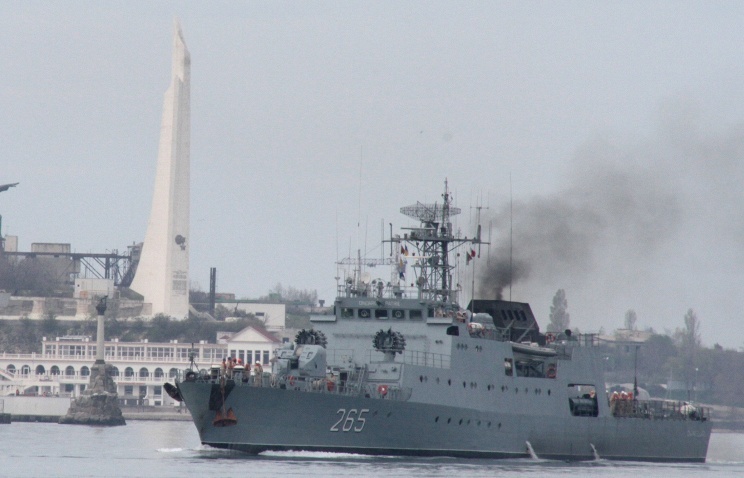 The Black Sea Force was established in 2001 to comprise Russia, Turkey, Ukraine, Bulgaria, Romania and Georgia.